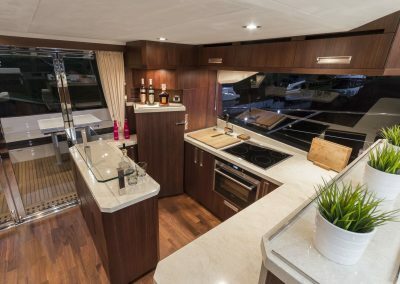 Based on the successful 550 Fly model, the Skydeck offers the same stunning performance and class leading interior space. 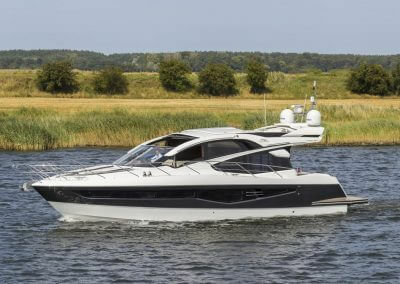 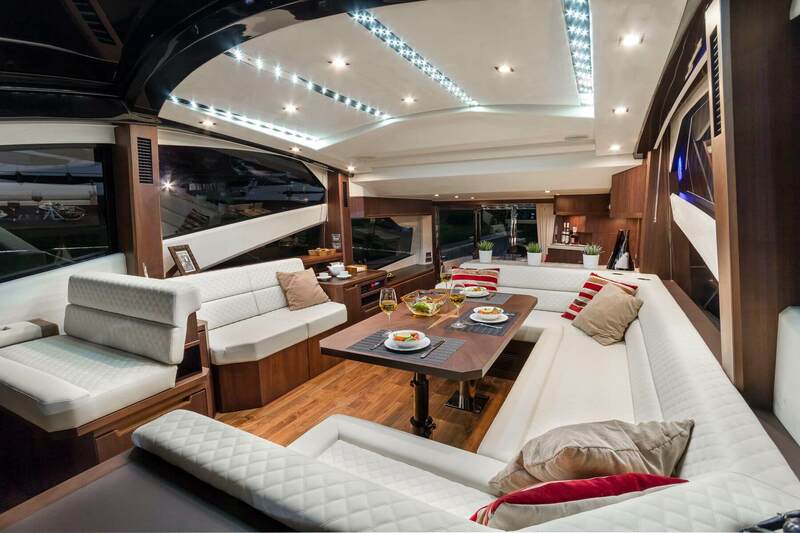 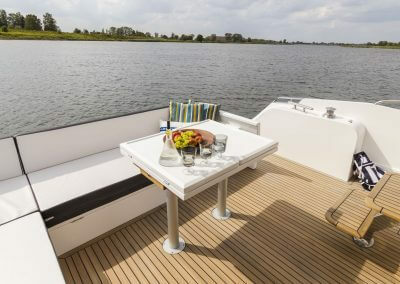 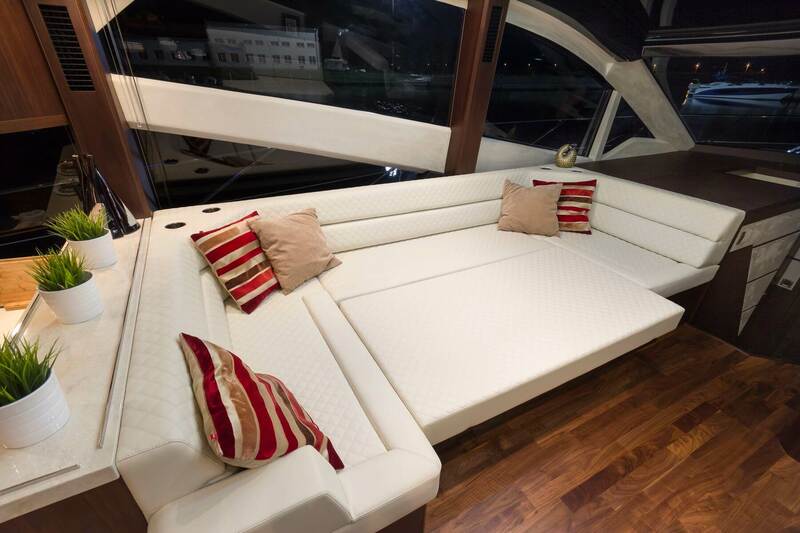 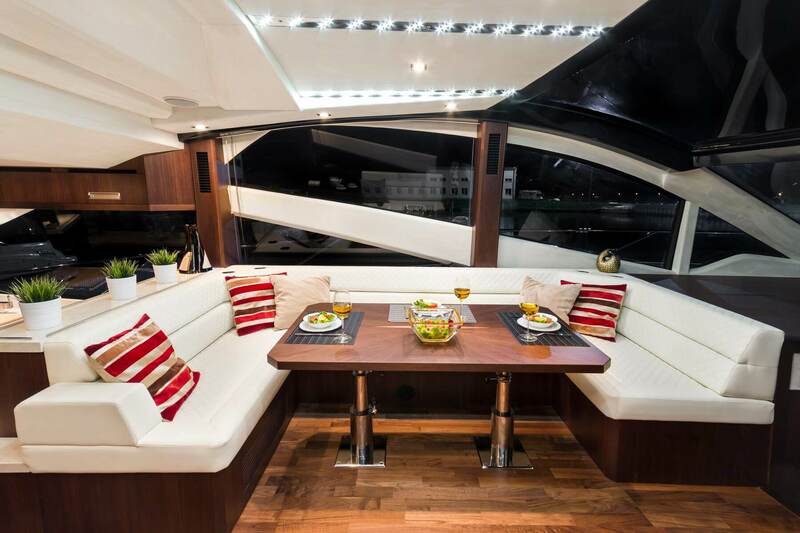 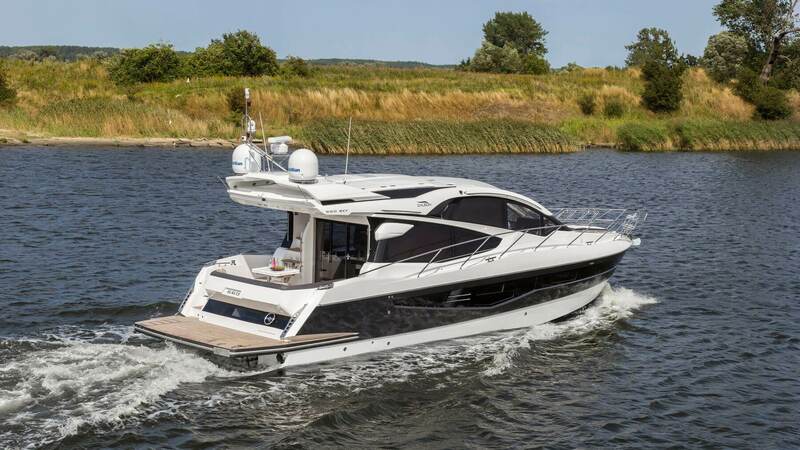 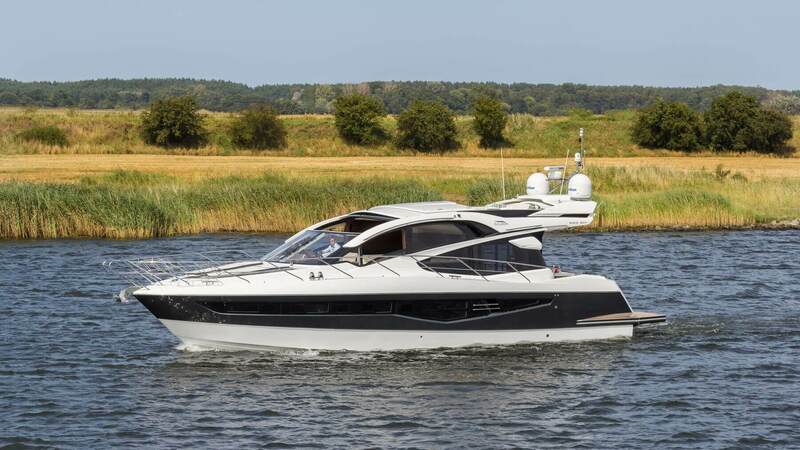 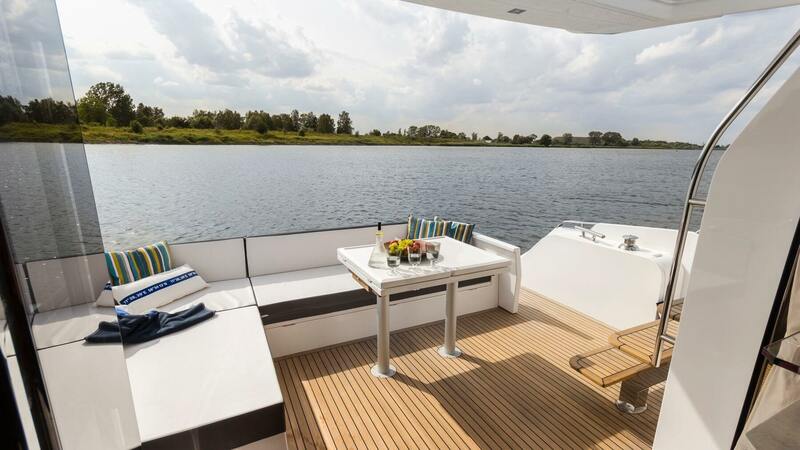 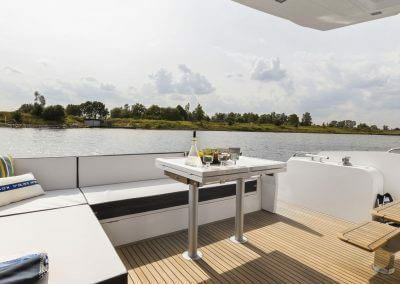 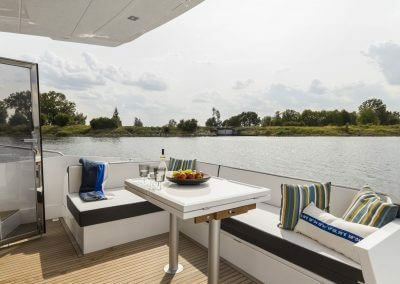 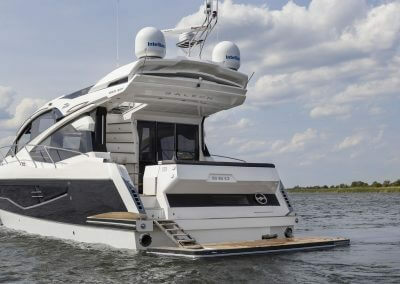 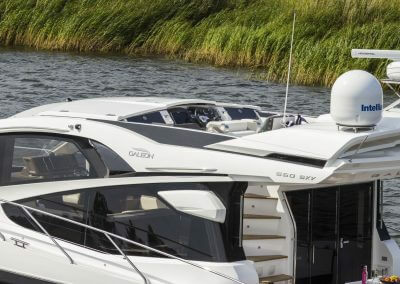 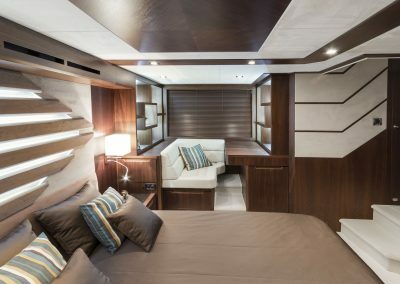 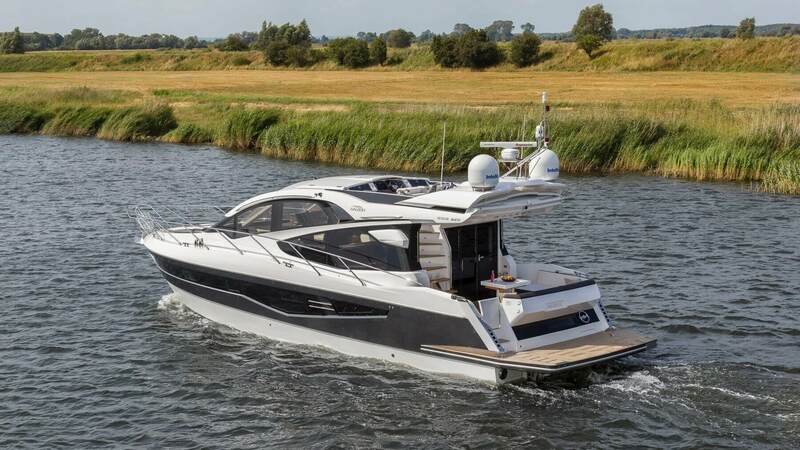 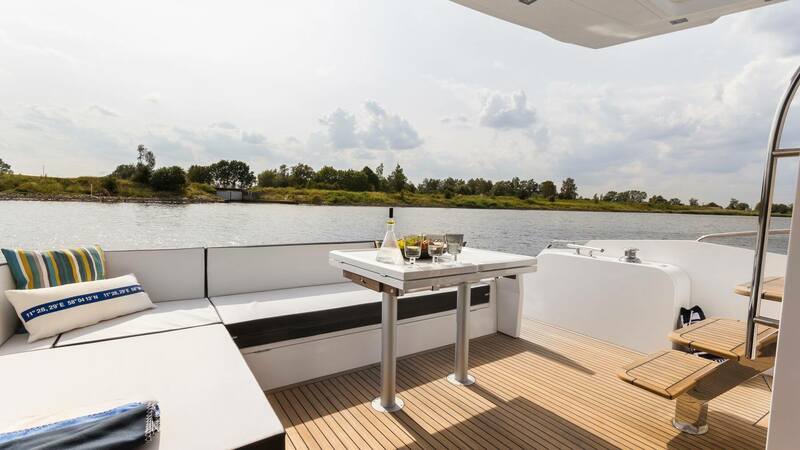 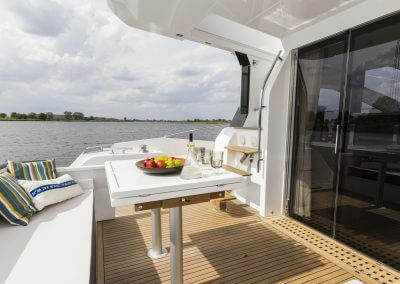 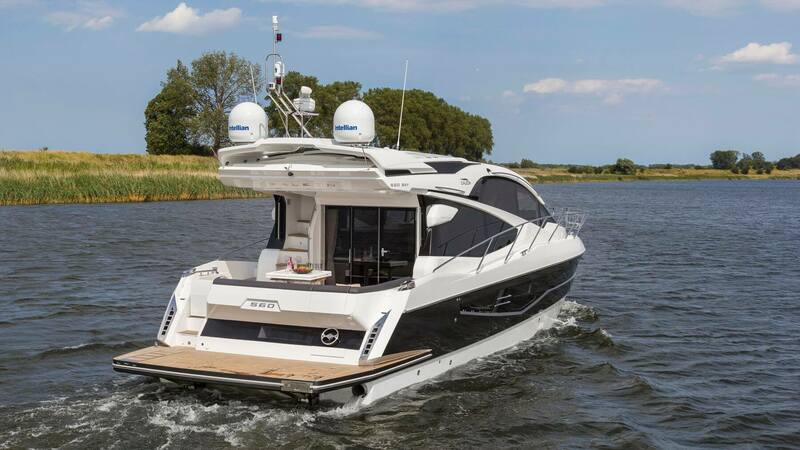 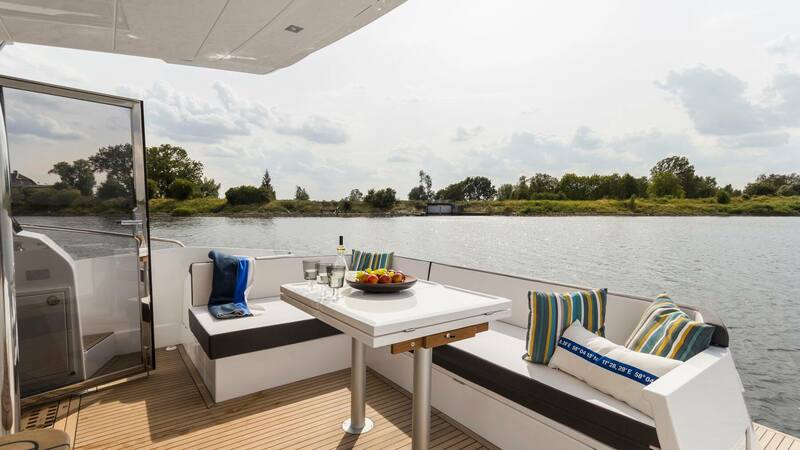 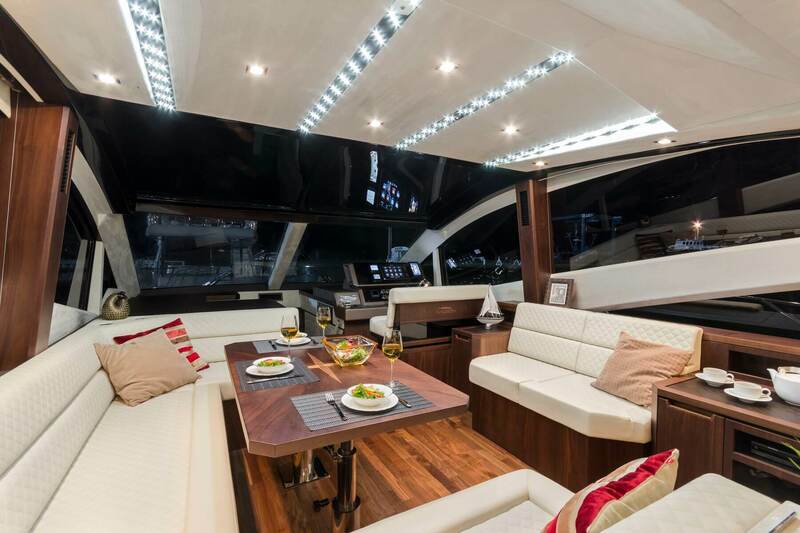 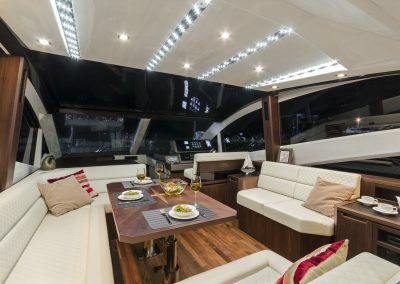 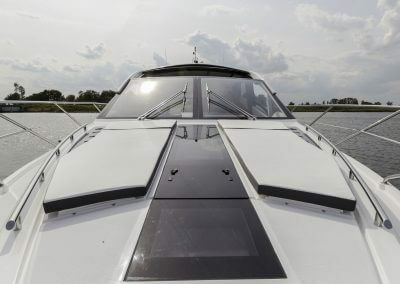 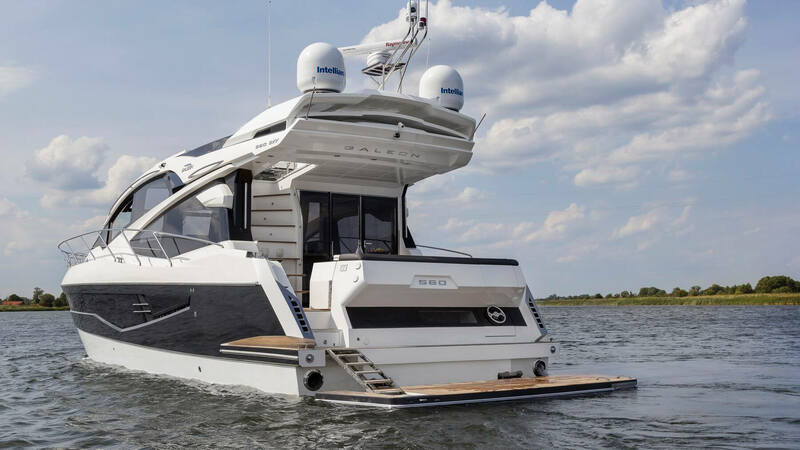 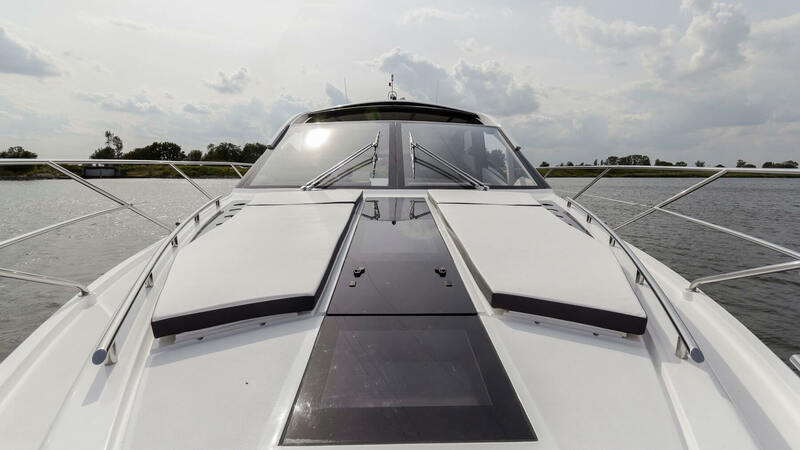 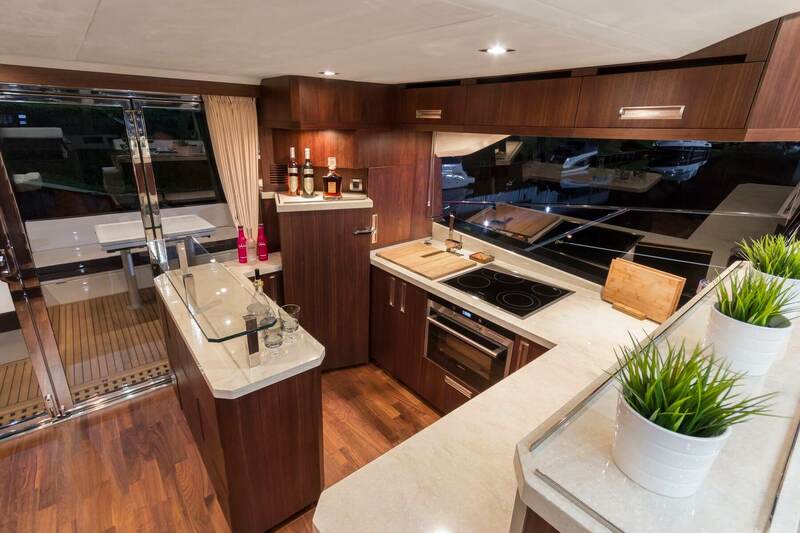 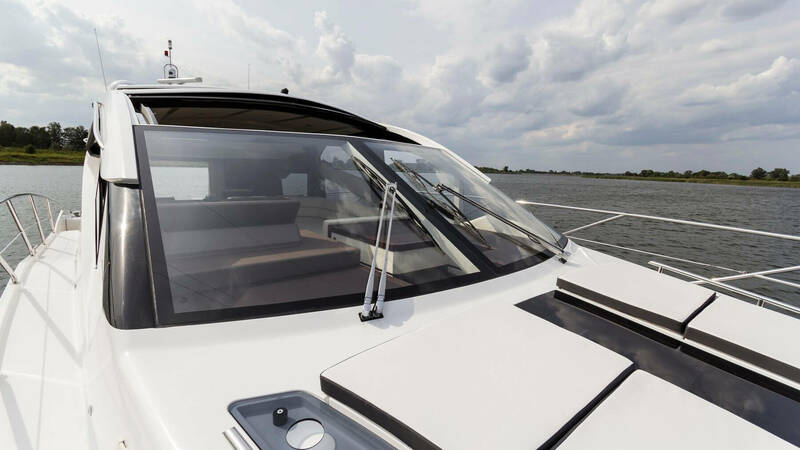 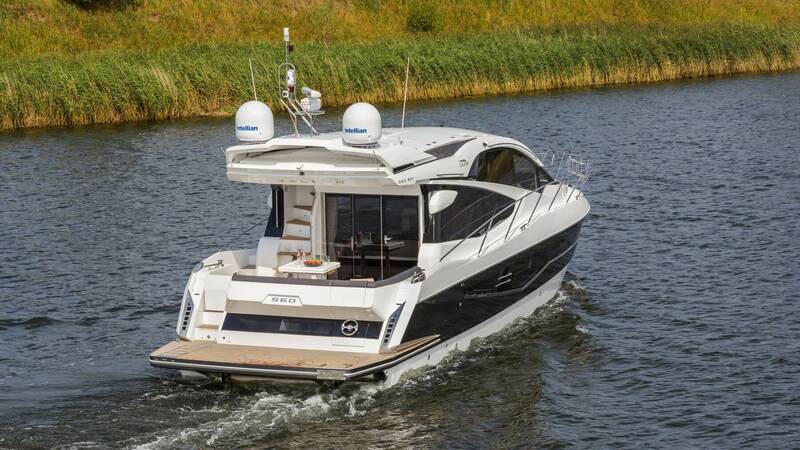 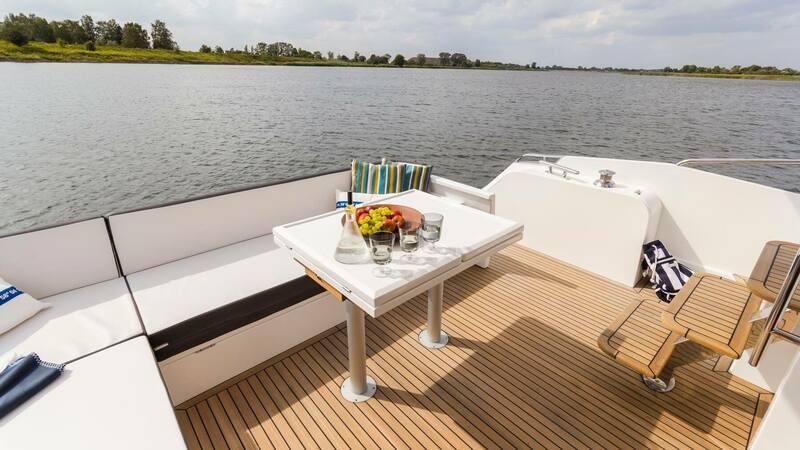 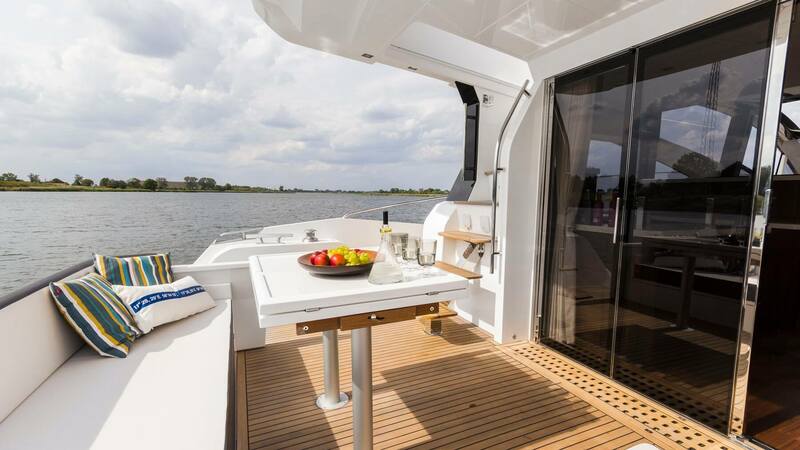 The top deck is occupied with three seats, a wet bar and plenty of sunbathing space and can be automatically closed off in a matter of seconds by the sliding laminate roof. 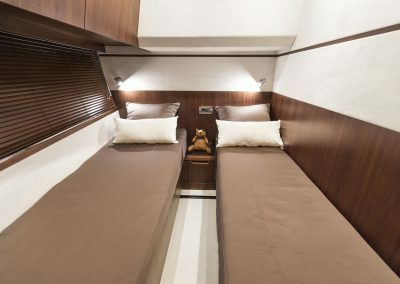 The aft lounge is located above the crew quarters which can also be turned into a jet tender garage – both options can feature a hydraulic stern platform. 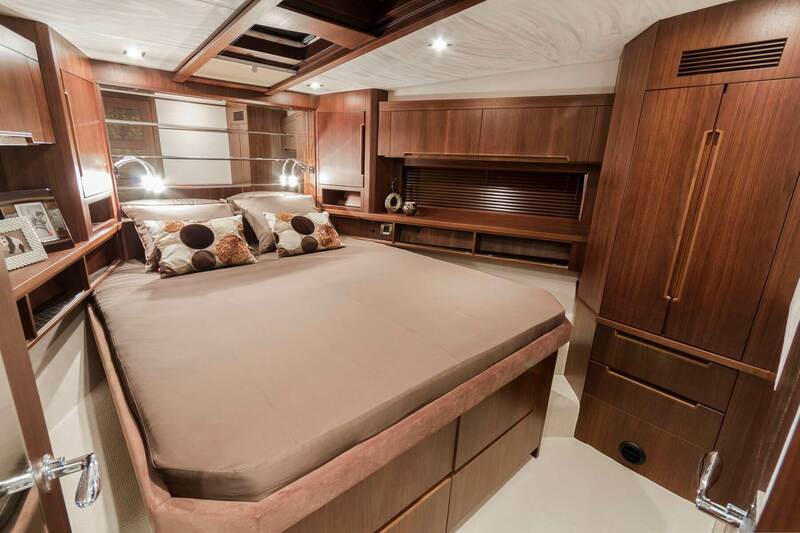 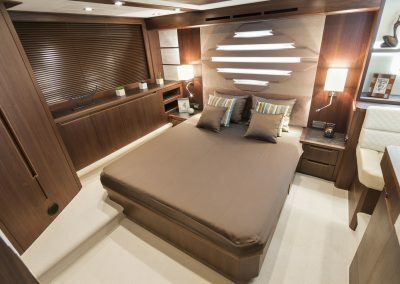 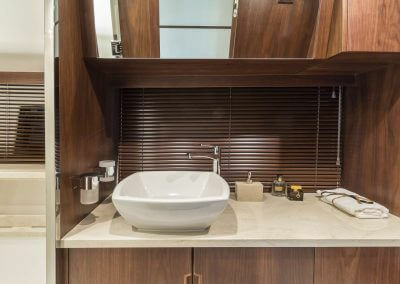 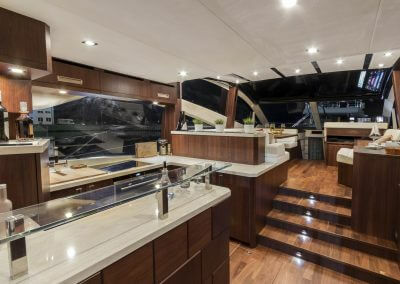 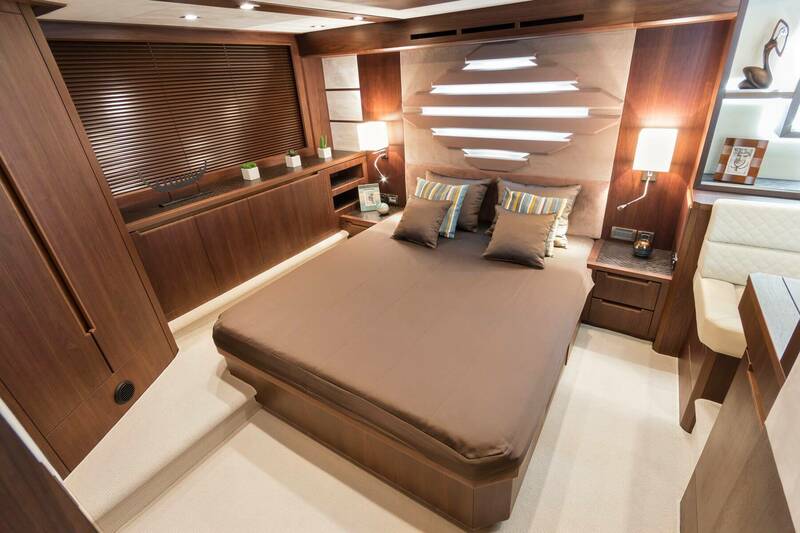 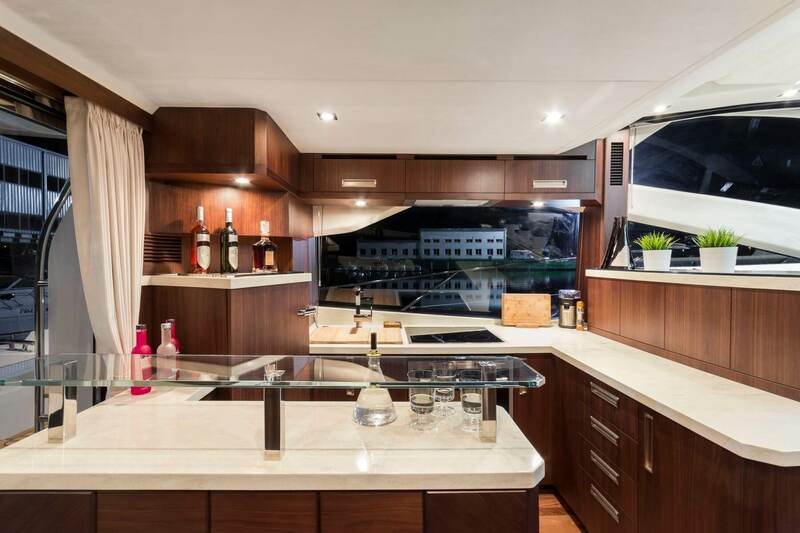 Below deck, three bedrooms and two bathrooms ensure the comfort and privacy of all the guests. 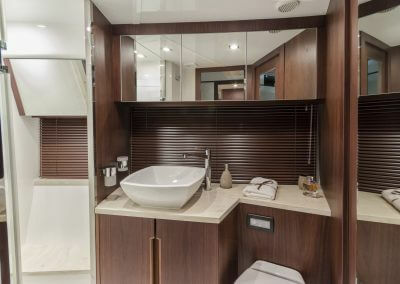 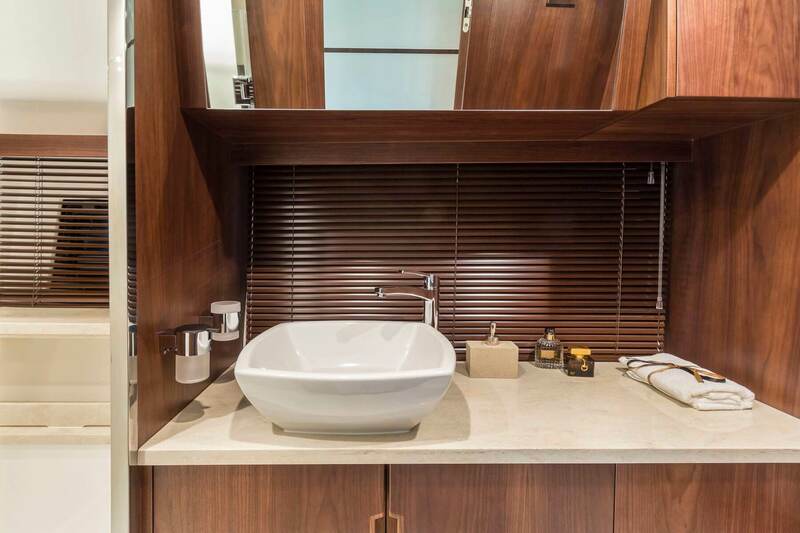 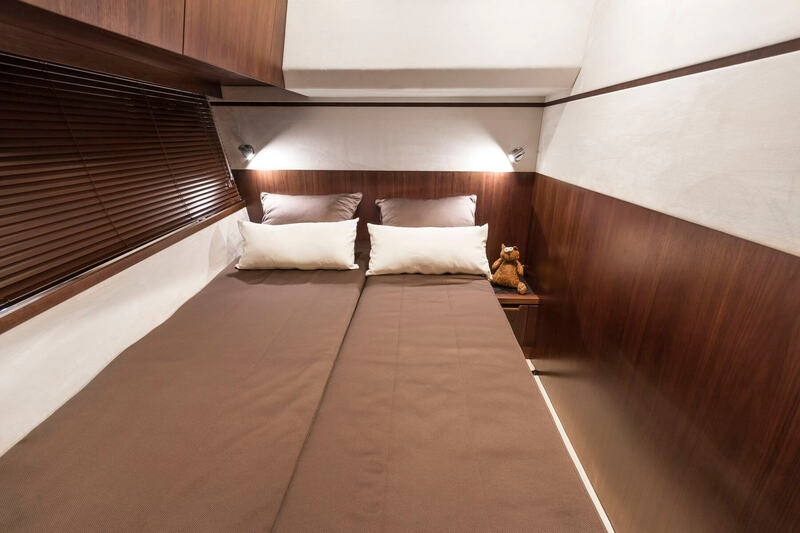 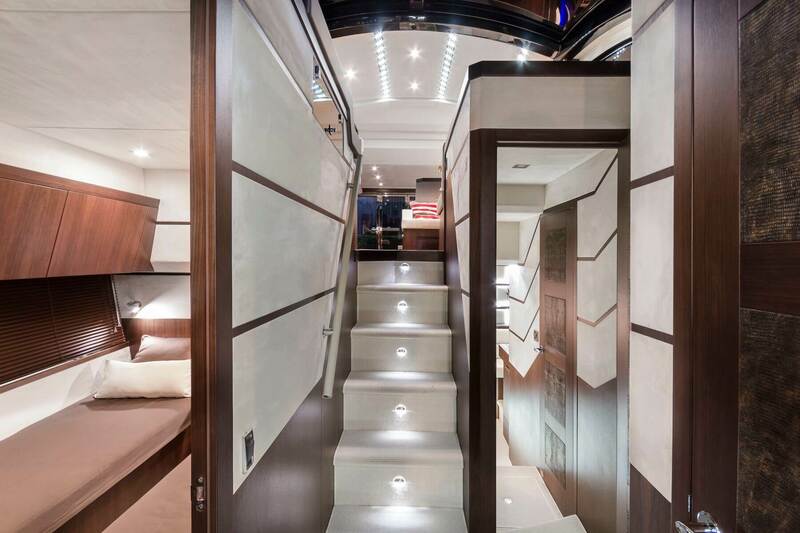 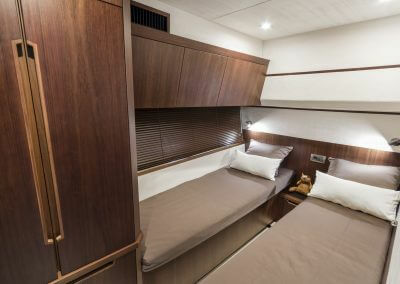 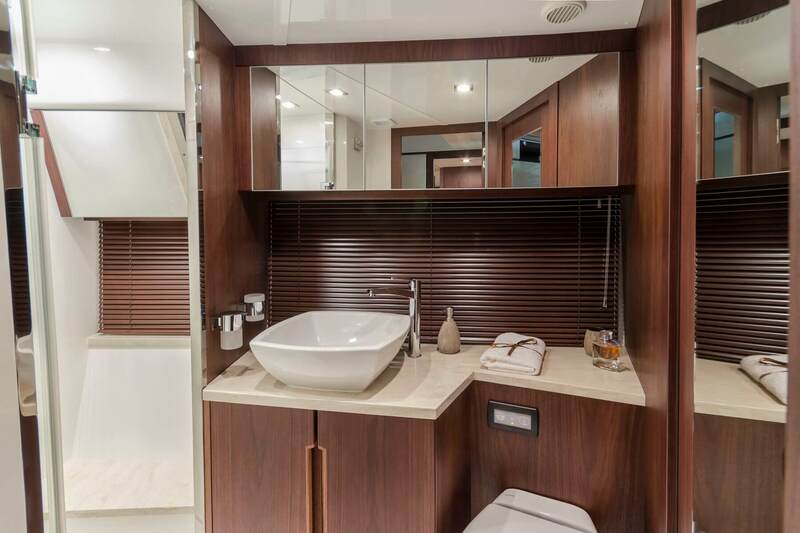 All cabins have standing height ceilings, natural light access and sufficient storage space for long cruises. 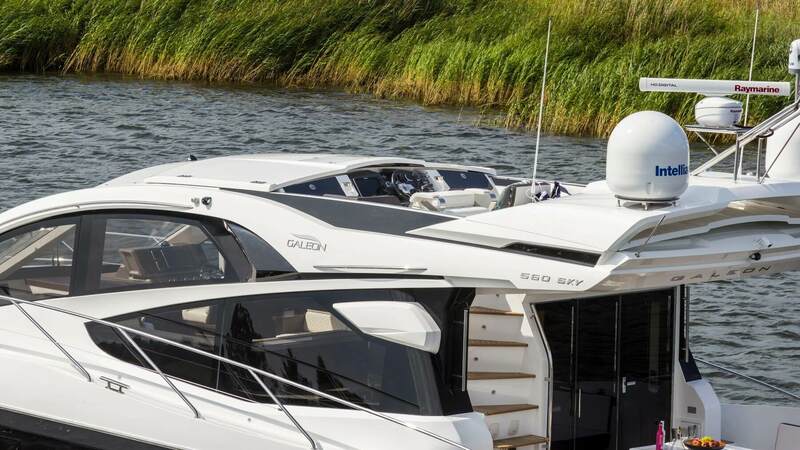 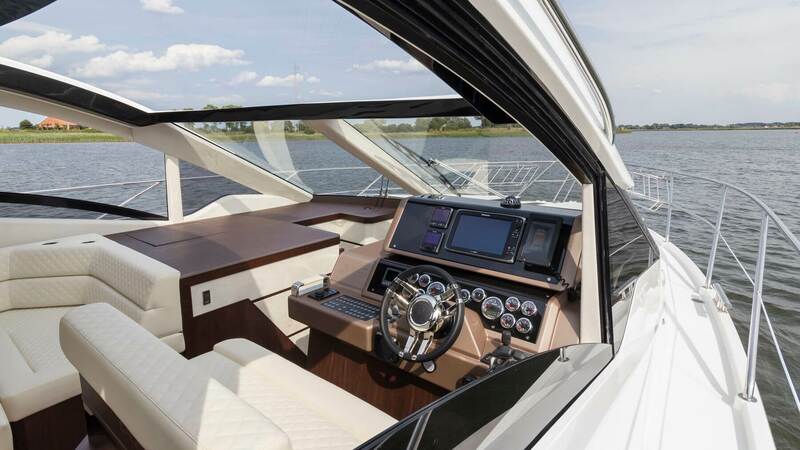 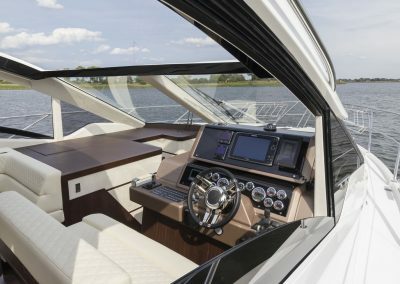 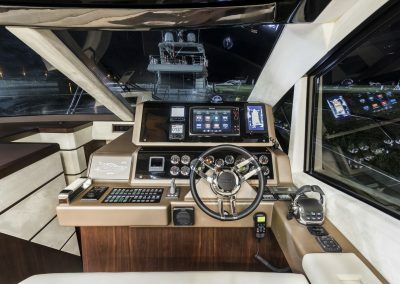 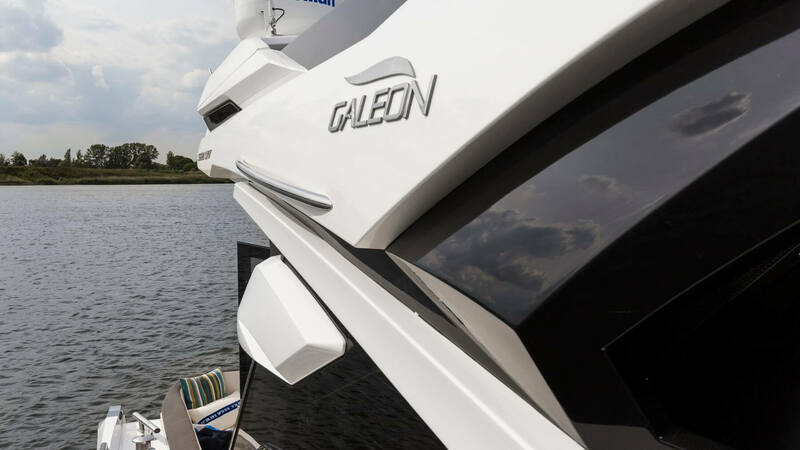 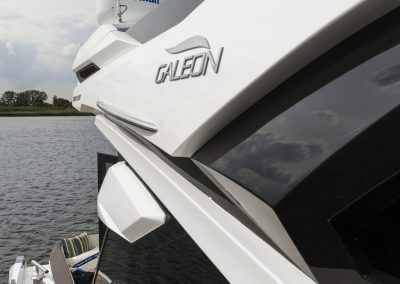 The meticulous finish of all third generation Galeon Yachts is second to none, with dozens of customizable interior trims to choose from. 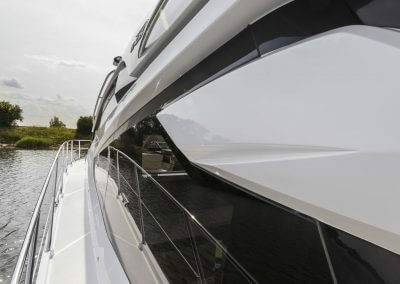 Wide sidedecks leading to the bow area will come in handy during tight maneuvers in crowded marinas. 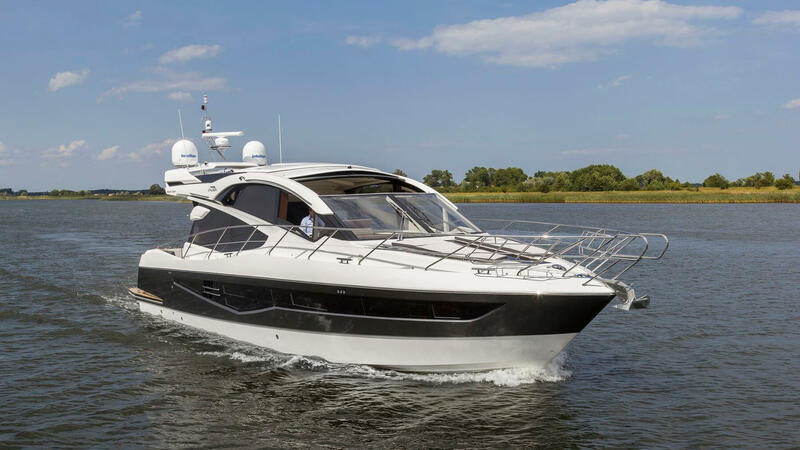 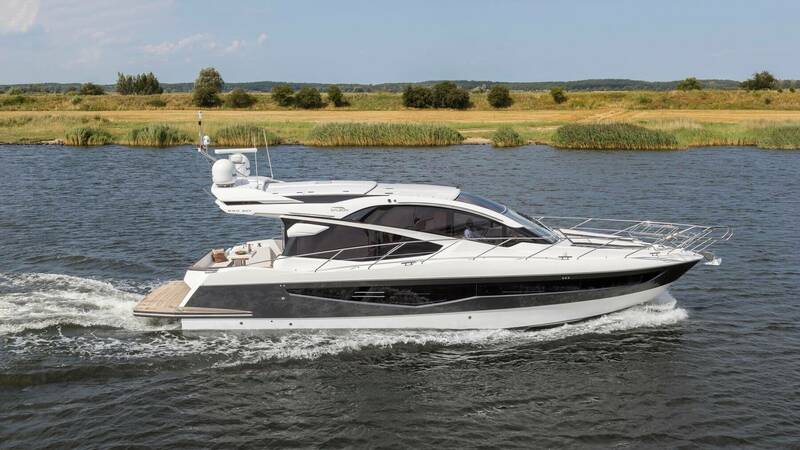 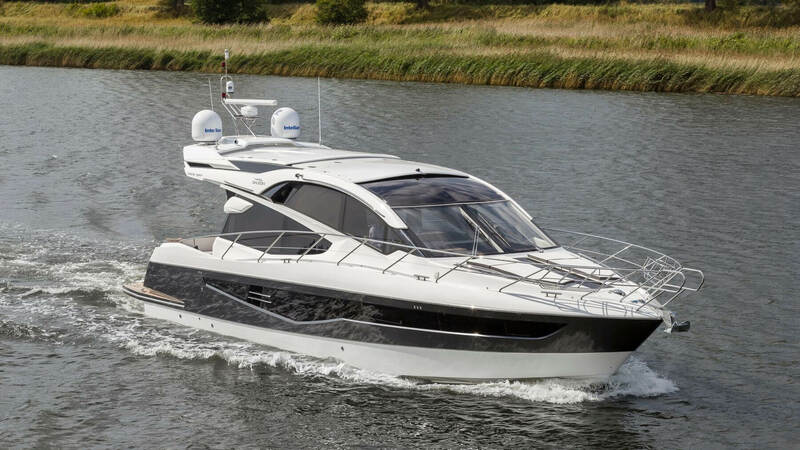 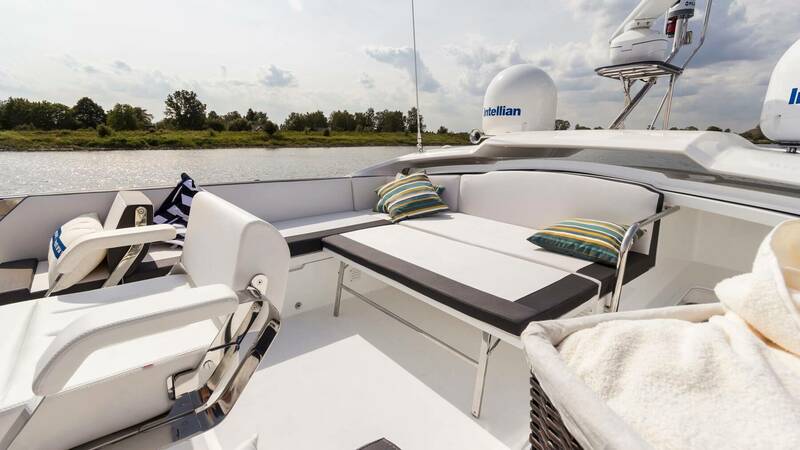 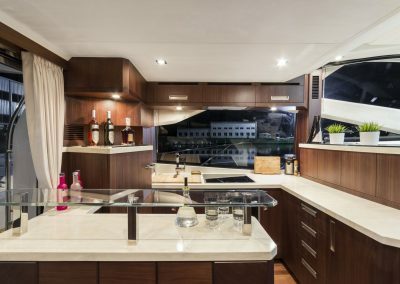 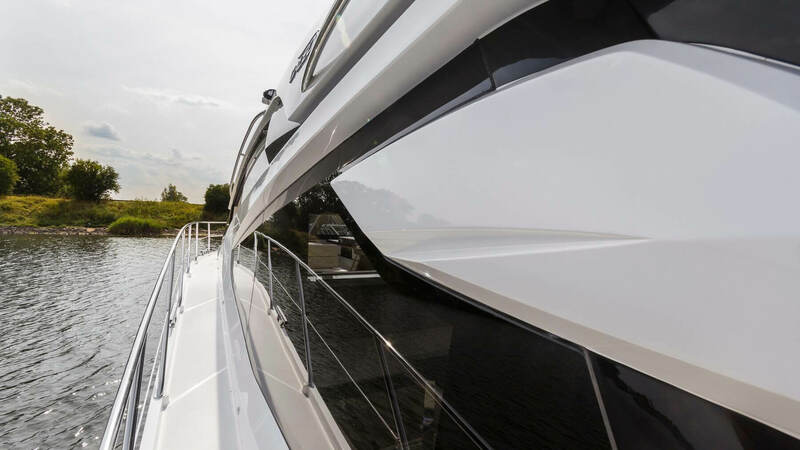 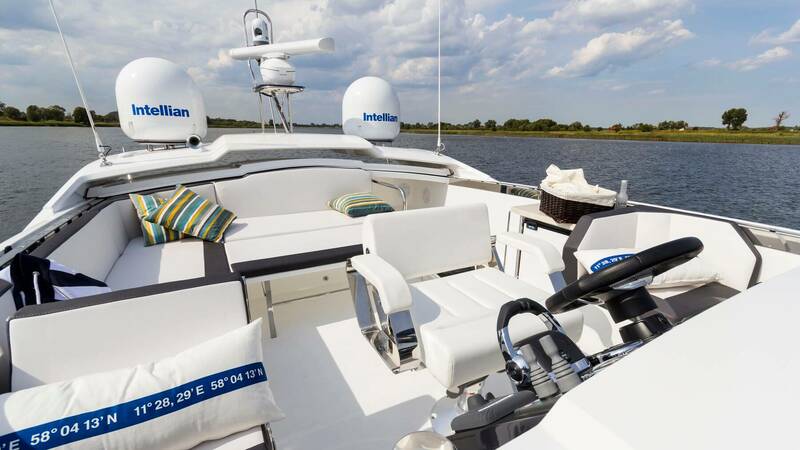 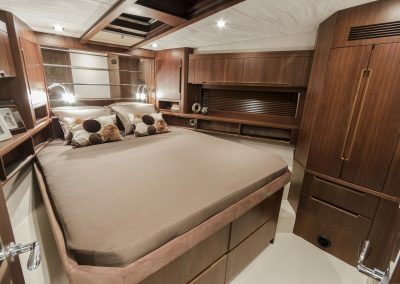 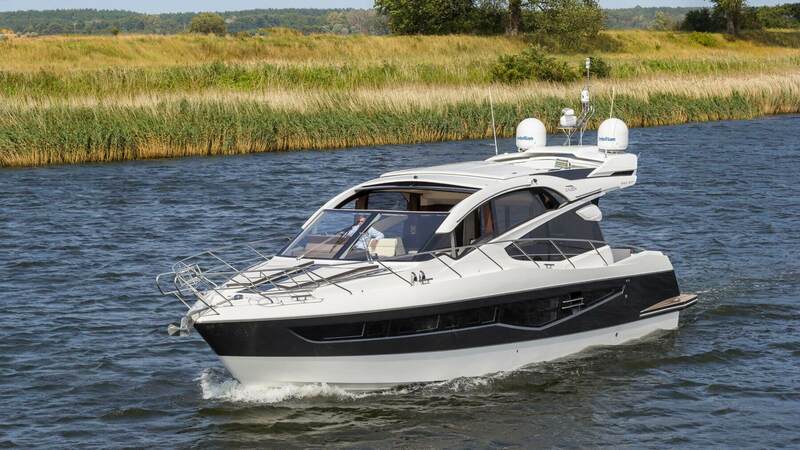 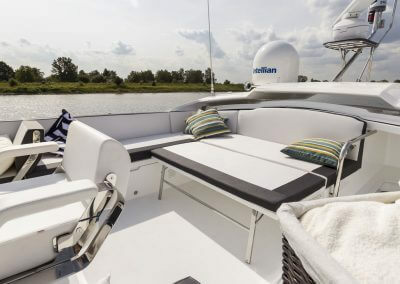 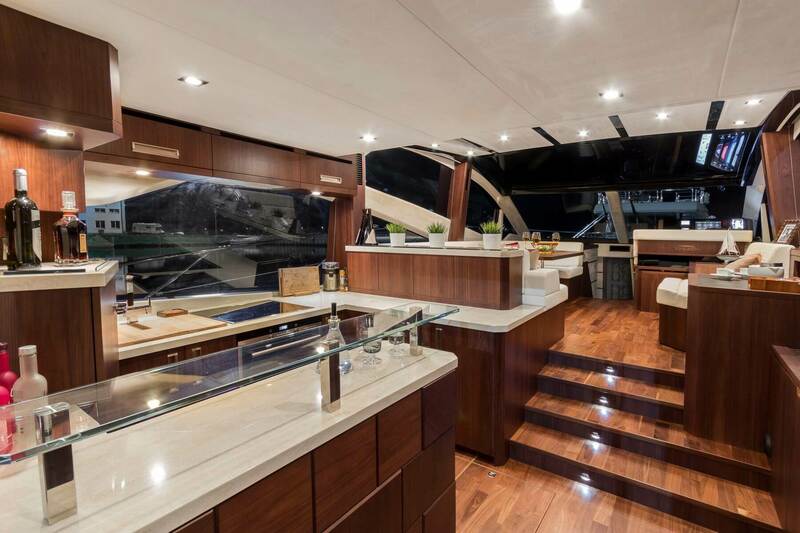 The main deck offers plenty of space with a separate kitchen, dining and leisure areas as well as the perfectly organized helm station with a spectacular panoramic glass roof above. 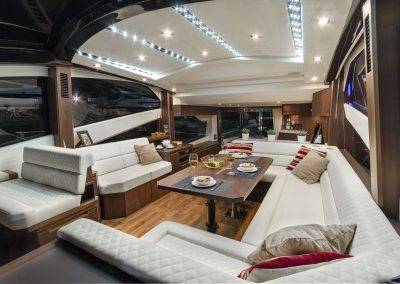 Broad windows brighten the interior and create a welcoming atmosphere on board for all the passengers to enjoy. 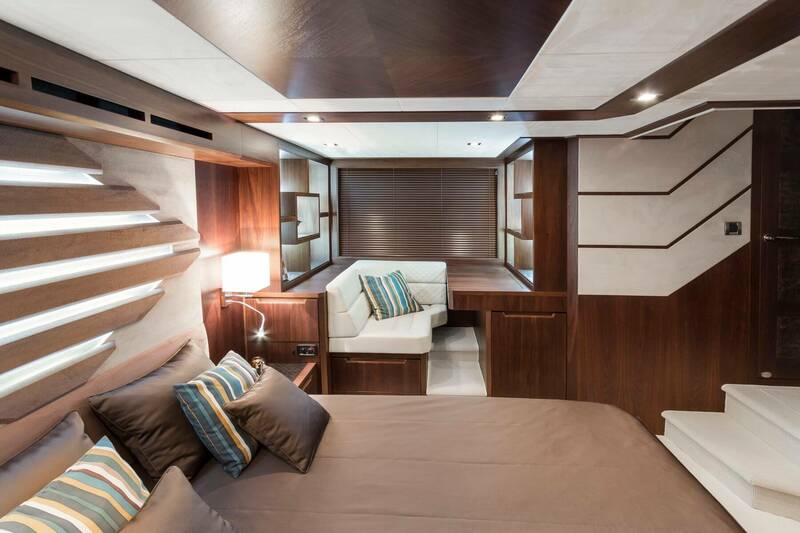 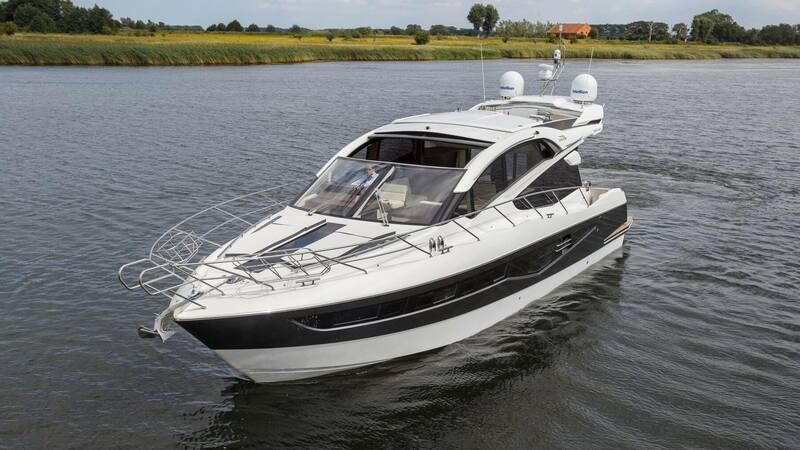 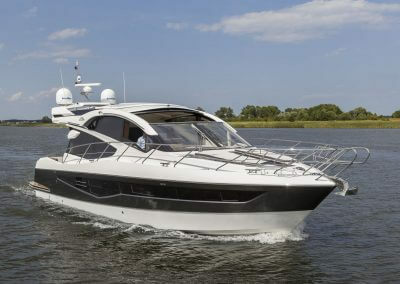 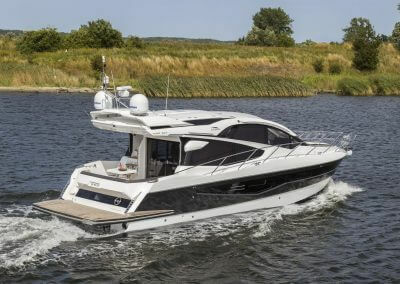 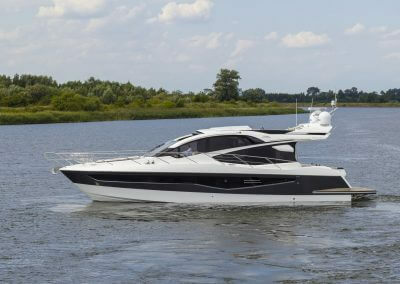 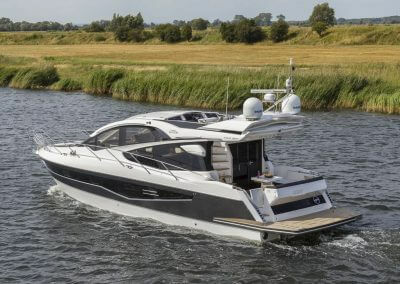 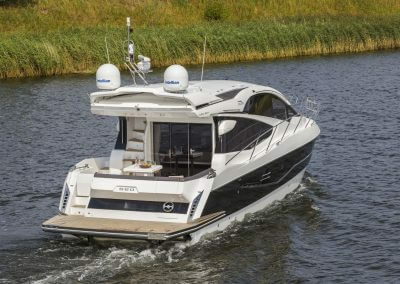 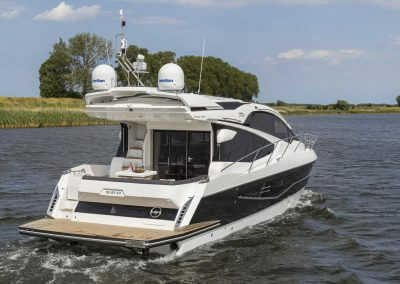 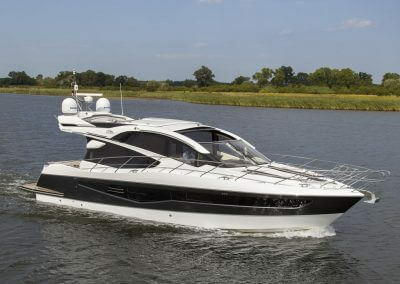 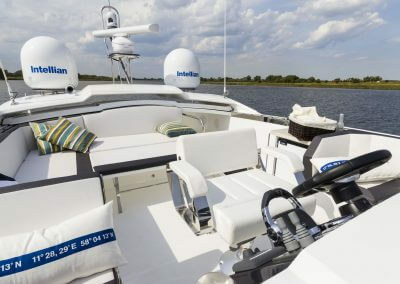 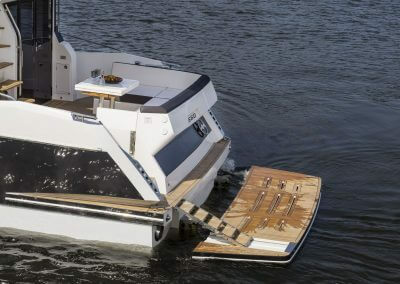 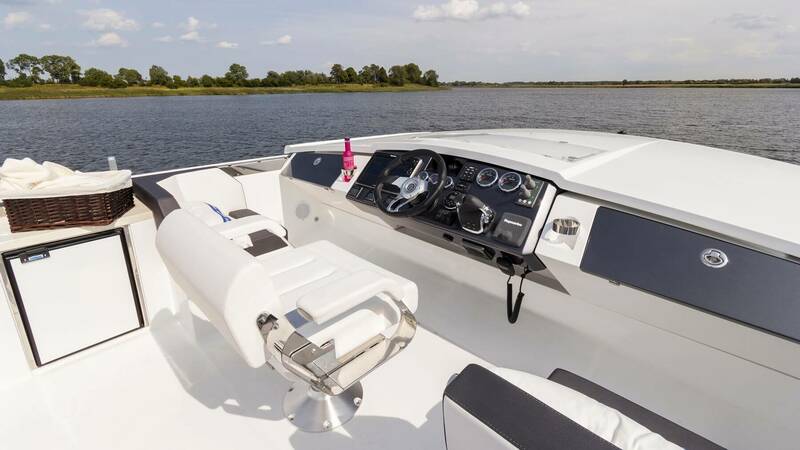 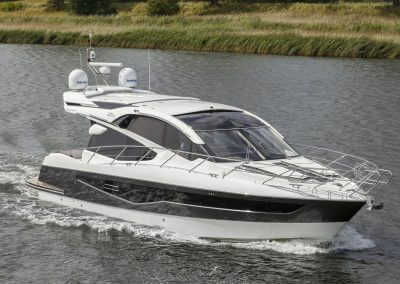 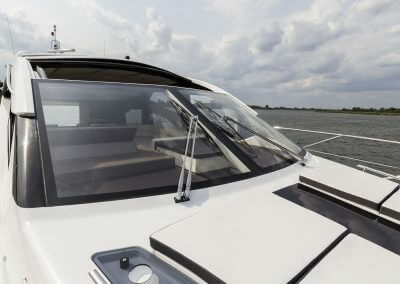 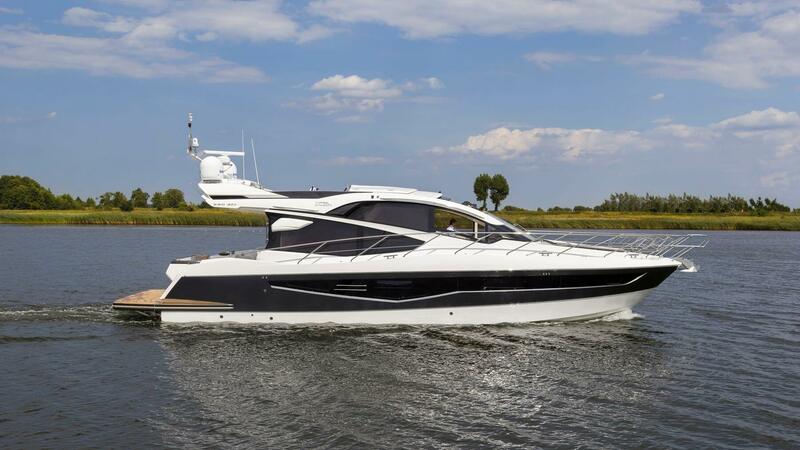 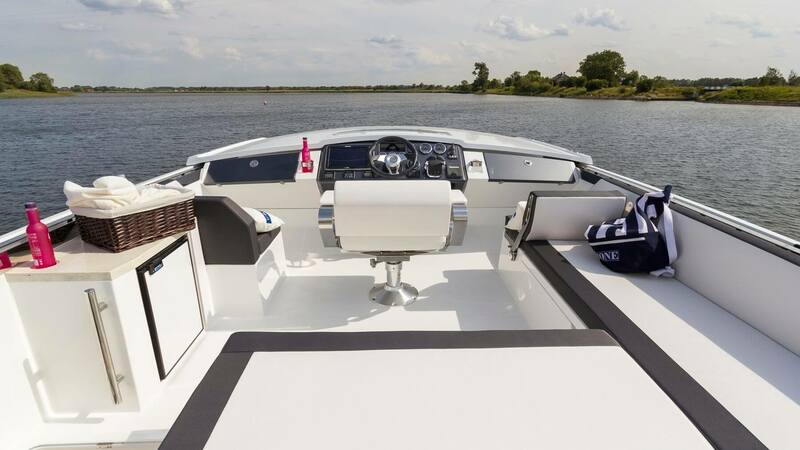 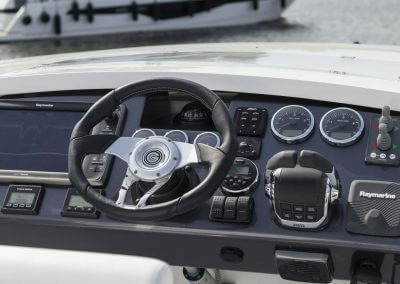 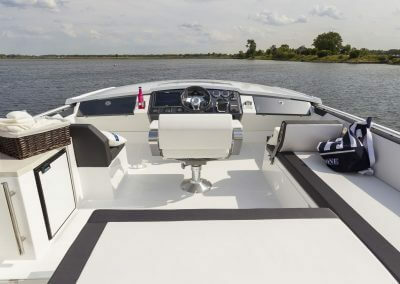 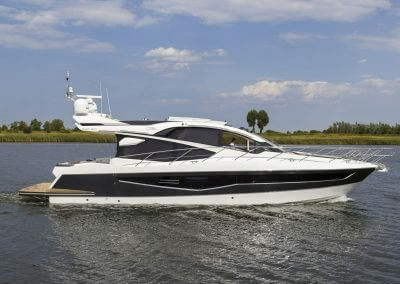 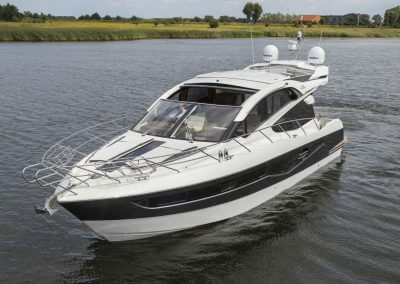 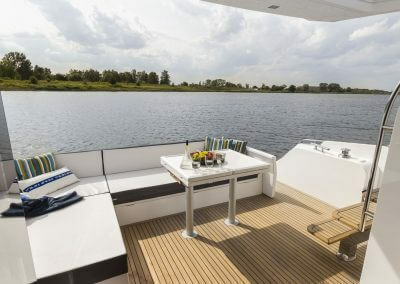 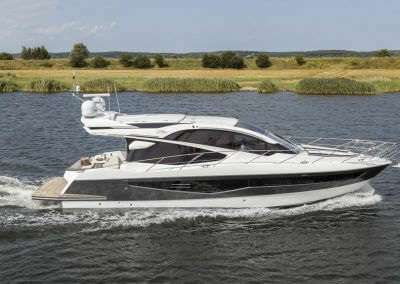 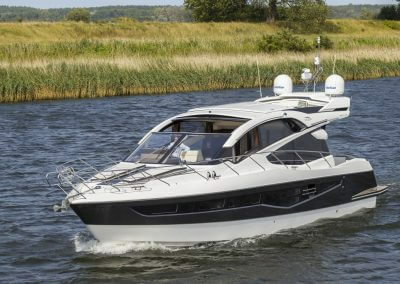 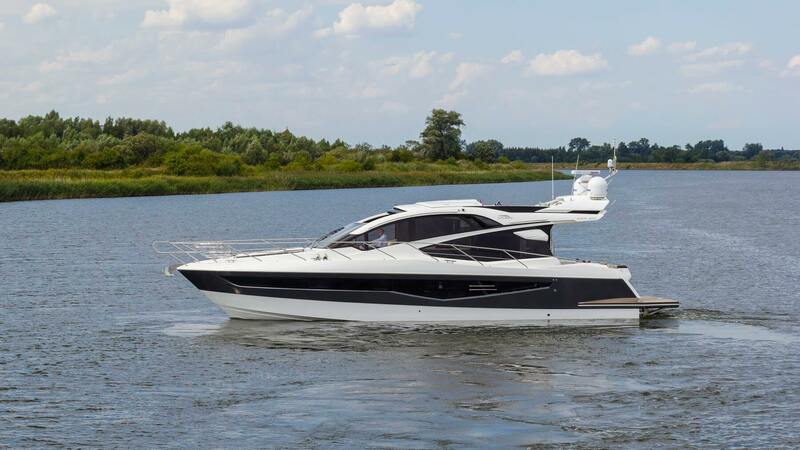 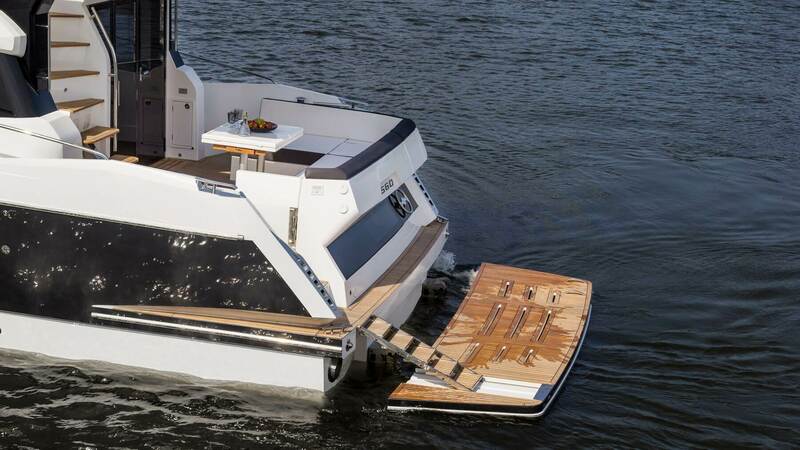 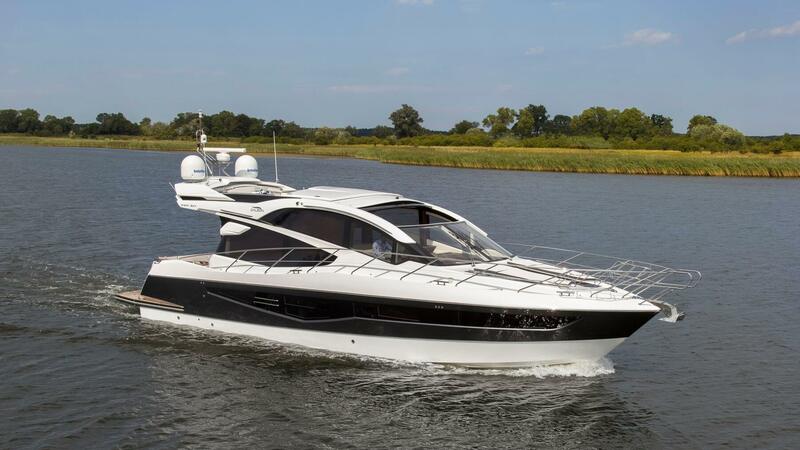 High quality materials and endless optional features will allow You to create your dream design on board. 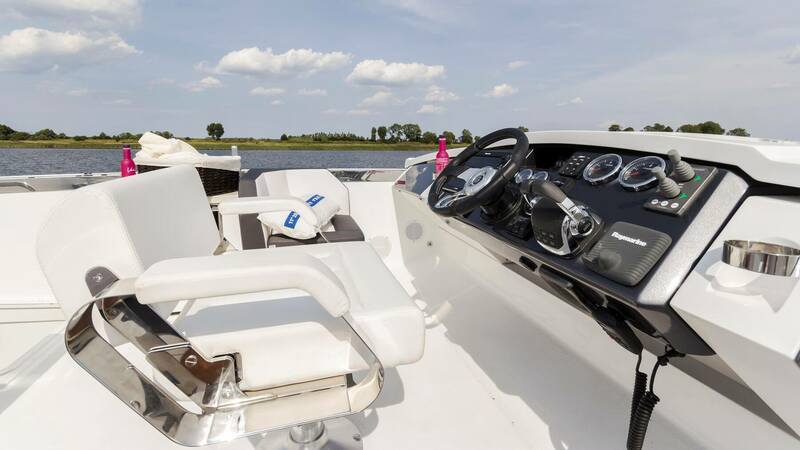 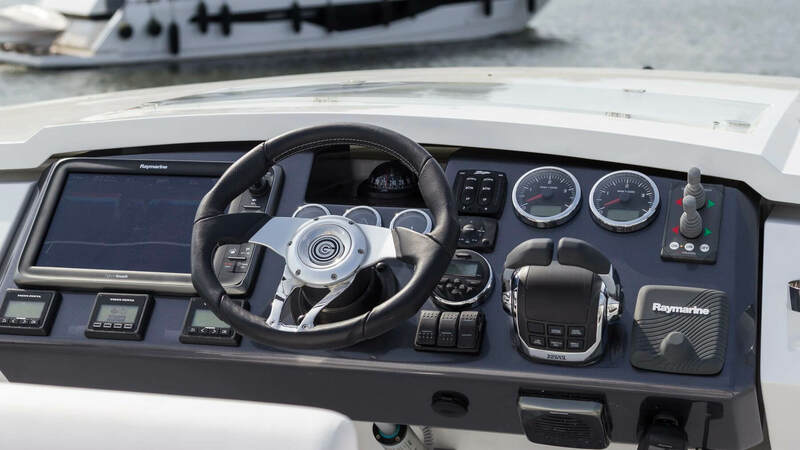 A fine selection of powerful engines allows for the best compromise between fuel economy and performance, while the top-of-the-line navigational equipment will ensure your safe arrival at any destination.